So begins my comment on the Attorney General’s brief summary of the presumably much longer report submitted to him Friday by Special Counsel Robert Mueller. It appears as part of an expert legal roundup at Vox, compiled by journalist Sean Illing. Still, Barr wrote that he found insufficient evidence beyond a reasonable doubt of presidential obstruction of justice. That standard of proof is essential to conviction in criminal court – but not in impeachment proceedings, which, if launched, would begin in the House of Representatives and end in the Senate. For that reason, the ball is in Congress’s court. However, I wrote, the further finding of no coordination or conspiracy to aid Russian election interference may means Congress lets the ball lie there. The full roundup is here. Also contributing were: Victoria Nourse, Georgetown Law; Jessica Levinson, Loyola Law; Ciara Torres-Spelliscy, Stetson Law; Christopher Slobogin, Vanderbilt Law; Miriam Baer, Brooklyn Law; Keith Whittington, Princeton; Robert Weisberg, Stanford Law; Jimmy Gurulé, Notre Dame Law; Stephen Legomsky, Washington University Law; Frances Hill, Miami Law; Ilya Somin, George Mason Law; Jens David Ohlin, Cornell Law; Ric Simmons, Ohio State Law; and Peter Margulies, Roger Williams Law. The investigation by Special Prosecutor Robert Mueller into 2016 election interference and related matters is now in its 10th month. Among the ensuing indictments is the one announced last Friday, in United States v. Internet Research Agency LLC. Illing 1st asked whether, in “Comey’s introductory remarks or in his exchanges with senators,” the witness made “a case that President Trump attempted to obstruct justice.” My response here. Next, he asked about a statement released by the President’s personal lawyer, which said that Comey had engaged in “unauthorized disclosure of privileged information.” My response, which treated the constitutional doctrine of executive privilege, here. Children have become the unwilling emblems of armed conflict and extreme violence. There is no better time than now to press for strategies both to combat such harms and to bring the persons responsible to justice. Presenting an important step toward those goals is the Policy on Children of the International Criminal Court Office of the Prosecutor. “[I]t is indeed unconscionable that we so clearly and consistently see children’s rights attacked and that we fail to defend them. “It is unforgivable that children are assaulted, violated, murdered and yet our conscience is not revolted nor our sense of dignity challenged. This represents a fundamental crisis of our civilisation and a failure of our humanity. Leading the event was journalist Zeinab Badawi. Among the many others who offered live or video interventions were: Mamadou Ismaël Konaté, Mali’s Minister of Justice and Human Rights of the Republic of Mali; Zeid Ra’ad Al Hussein, U.N. High Commissioner for Human Rights; Leila Zerrougui, Special Representative of the U.N. Secretary-General for Children and Armed Conflict; Angelina Jolie, Special Envoy of the U.N. High Commissioner for Refugees; Nobel Peace Prizewinner Leymah Gbowee; Lieutenant General Roméo-Dallaire, Founder of the Roméo Dallaire Child Soldiers Initiative (see also IntLawGrrls post by Kirsten Stefanik); Marc Dullaert, Founder of KidsRights and the Netherlands’ former Children’s Ombudsman; and Coumba Gawlo, U.N. Development Programme Goodwill Ambassador and National Goodwill Ambassador for the U.N. High Commissioner for Refugees. sexual and gender-based violence as war crimes and crimes against humanity (paragraph 52). ► Details the Office’s plan for applying the child-sensitive approach, with respect both to all stages of proceedings, including preliminary examinations, investigations, and prosecutions, and to cooperation and external relations, institutional development, and implementation. Even as cases involving crimes against and affecting children, like Ongwen, go forward, the Office is working on implementation of its new Policy on Children. The implementation phase will include developing versions of the Policy accessible to children. I’m looking forward to the opportunity to contribute this phase – and to hearing others’ views on the Policy. Since accused Lord’s Resistance Army leader Dominic Ongwen surrendered to the International Criminal Court in January 2015, there’s been much discussion of the effect, if any, of reports that he was abducted as a child into the Uganda rebel group, and eventually committed international crimes himself. “The reality is that cruel men can do kind things and kind men can be cruel. A hundred percent consistency is a rare thing. And the phenomenon of the perpetrator-victim is not restricted to international courts: it is a familiar one in all criminal jurisdictions. Fatherless children in bleak inner cities face brutal and involuntary initiation ordeals into gang life, before themselves taking on a criminal lifestyle. Child abusers consistently reveal that they have been abused themselves as children. “But having suffered victimization in the past is not a justification, nor an excuse to victimise others. Each human being must be considered to be endowed with moral responsibility for their actions. And the focus of the ICC’s criminal process is not on the goodness or badness of the accused person, but on the criminal acts which he or she has committed. We are not here to deny that Mr. Ongwen was a victim in his youth. We will prove what he did, what he said, and the impact of those deeds on his many victims. Antiquities trafficking said to fuel transnational mayhem by Daesh et al. Alumna Tess Davis, 2d from left, met with Georgia Law 1Ls after her lecture; from left, Hannah Williams, Ava Goble & Karen Hays. Hannah will work on cultural heritage issues this summer through a Global Externship Overseas (GEO) at the Cambodia Ministry of Culture & Fine Arts, Department of Intangible Cultural Heritage. So began the terrific talk on trafficking that Tess Davis, Executive Director of the D.C.-based Antiquities Coalition, delivered to a rapt University of Georgia audience a few days ago. Having conceded the point quoted at top, Davis stressed that today the problem is much different and much greater. On the list of lucrative transnational organized crime, she asserted, antiquities trafficking places 3d, right behind arms trafficking and drug trafficking. Initially trained as an archeologist, Davis began to focus on legal means to combat antiquities trafficking while still a student at Georgia Law. Since earning her J.D. 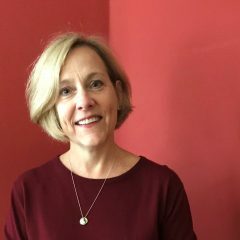 in 2009, she’s been a leader at the Lawyers’ Committee for Cultural Heritage and in the American Society of International Law Cultural Heritage & the Arts Interest Group, a researcher at Scotland’s University of Glasgow, a member of Georgia Law’s Dean Rusk International Law Center Council, and, as the photo above demonstrates, a mentor to Georgia Law students and other young lawyers interested in working in the field. Her efforts to help repatriate antiquities stolen from Cambodia earned multiple mentions in The New York Times. Davis said, then expressed optimism at growing political will to do something about the Middle East. She advocated enactment of S. 1887, the Protect and Preserve International Cultural Property Act now working its way through Congress. The legislation, whose cosponsors include a Georgia U.S. Senator, David Perdue, is urgent: Davis estimated that U.S. buyers represent 43% of the current demand for looted Syrian antiquities.